Covers the entire beverage marketplace reaching beverage producers, distributors and retailers. By providing your E-mail you are giving the publisher permission to contact you regarding your subscription and other related products. 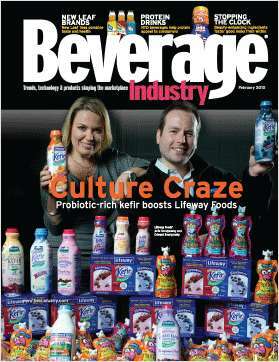 Do you wish to receive a FREE subscription to Beverage Industry? *All digital subscribers will receive the print version until the digital version is available. Which of the following best describes the primary product produced or the service performed at your company? What is the estimated dollar volume at this location? Complete and verifiable information is required in order to receive this subscription. • Geographic Eligibility: USA (Print Version Only), Mexico & Selected International (Digital Version Only). • The publisher determines qualification and reserves the right to limit the number of free subscriptions.